Life is such a wonderful thing! I am breathing, can walk, can type, can take pictures and can a lot of other things. Yesterday was my 64th Anniversary of being on Planet Earth, the most beautiful planet in the whole Universe. Am I on a good vibe cycle or what! Lovely, lovely, lovely…that is my life and everything about it. Enough of the self-love fest. 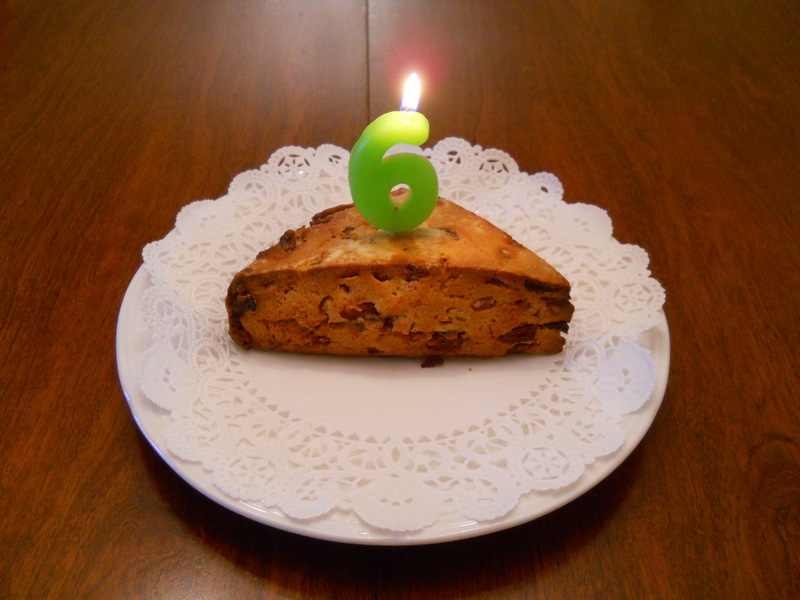 What about that number 6 on my “birthday cake,” a/k/a an orange-cranberry scone. What was I thinking when I decided for the scone versus the cupcake? I don’t know, the cupcakes looked so-frosted-maxed-out that the better option was the feel-like-a-bomb-scone that went into my stomach and exploded there. It will take me maybe a couple of weeks to recover from such an act of no thinking much. Now, the number 6 issue. I thought about buying candles with numbers to put on top of my scone. After looking at the “boutique price” of these candles, I decided once more, remember not too much thinking was going on in my brain, I decided to just buy the first number and forget about the number 4. Cheap, cheap, cheap! What the heck, it was going to be only me singing the “Happy Birthday to Me” serenade, so who cares. Besides, I can now recycle this #6 candle for the rest of my sixties. See, a lot of thinking went after the act of being so cheap. Rationalize, rationalize, until it feels justified. That’s the way I have managed to achieve this milestone. Who am I kidding anyway? Not me! Oh yes, for dinner, it was “Puerco al Mojo.” Translation, Pork-a-la-Mojo, plus Basmati rice and sweet potatoes with honey. Tell you, I went out all the way. Sixty-four is a good number to start living dangerously. 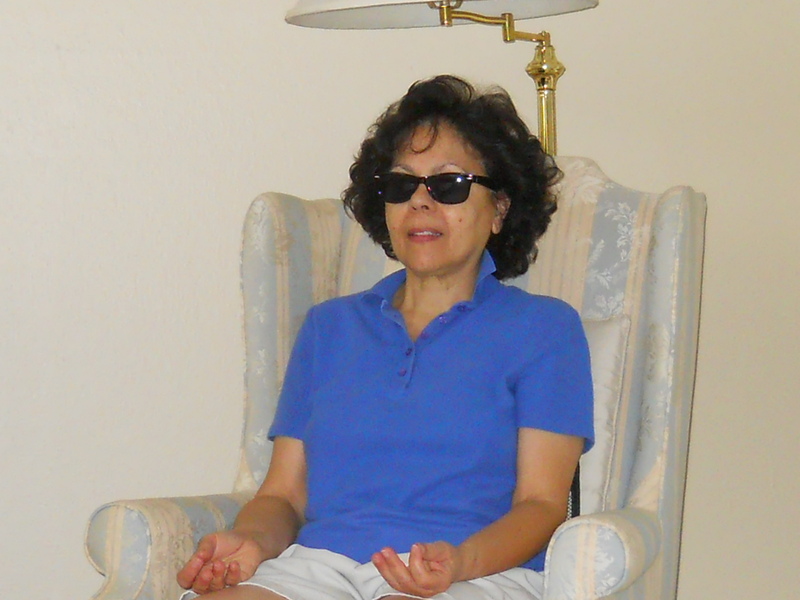 So…it was yesterday…my sixth decades plus four…it was a good day! “You know you’re getting old when you get that one candle on the cake. It’s like, see if you can blow this out.” Jerry Seinfeld, American comedian, actor, writer, etc. 29 April, 1954-. This entry was posted in Uncategorized on October 22, 2012 by happycontessa. Do you think one can get ill or sick out of trying to eat too healthy? Sometimes I ponder on that one. Maybe my aging stomach resents all this good-for-me stuff. I know one thing…I am getting tired of cooking, peeling, eating and then washing the dish and pan. I know, I know…we been through this already. Just pretend this is new stuff for you. I am trying to change the posting and put something fresh. Even I get tired of looking at the same thing all the time. On another subject matter, fascinating people from eighteen countries (18) got curious enough to stop by and read my thoughts. I am more international than national. Not really, it is about even. Just the perfect amount of people to keep happy. Oh…yes…the picture…I am on a Quinoa-state-of-mind right now. Love that stuff. 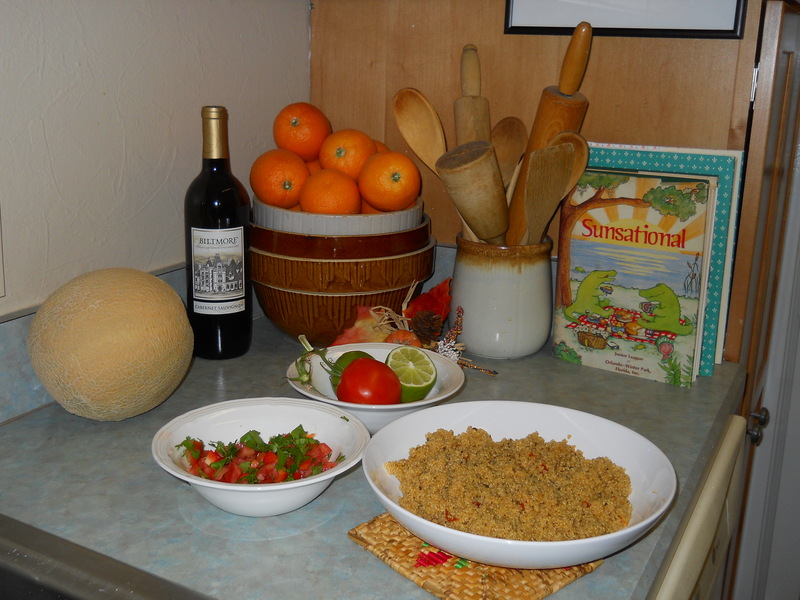 Prepare like Tabbouleh, and put tomatoes, cilantro, olive oil, extra virgin of course!, juice from a lime, red pepper, cucumber and anything that I have in the fridge that may go with it. Heavenly! Keep the cilantro fresh by placing it in the fridge in a container with water, just like you would do with flowers. Lasts more than a week. Well…now I feel fresher and updated…so it is another day in my Quinoa side of this world. What’s next, I will keep it surprise, for you and for…me! “One should eat to live, not live to eat.” Benjamin Franklin, one of the Founding Fathers of the United States, politician, musician, author, postmaster, and so much more. 17 January, 1706 – 17 April, 1790. This entry was posted in Uncategorized on October 16, 2012 by happycontessa. That’s the spirit! First it was the sonic boom that took half of the electric power out in my condo, then the people next door decided this was the perfect timing to start moving out, talking loud, a-la-movers-style, and you know the rest. Here I am trying to get my portion of peace for the day, after saying my thank you to the Creator, I decided it was time to get it on with my meditation. Yeah, right! Half of my mind was trying to be peaceful and graceful, while the other half was being really mind-nasty to those movers. So…I decided to write and get it out of my system, I mean, my mind. Why the sunglasses in the picture? You did not believe even for a second I was going to let you see the bags under my eyes? Imagine a three-pound bag of potatoes on each side of my eyes. Now you know what I mean. Oh, oh, now they are singing…, the movers, I mean, not the bags. So now my timer is calling me to have my oatmeal. Sorry, international tribe, a girl got to eat, you know, her oatmeal. When you get older you will know what I mean. “You have the right to remain quiet!” The meditation police. This entry was posted in Uncategorized on October 11, 2012 by happycontessa.